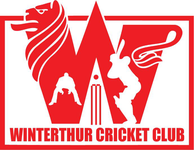 The Winterthur Cricket Club have agreed to partner St Moritz Cricket Club to raise a team to compete in the most prestigious and quirky cricketing event in the Swiss calendar, Cricket On Ice. 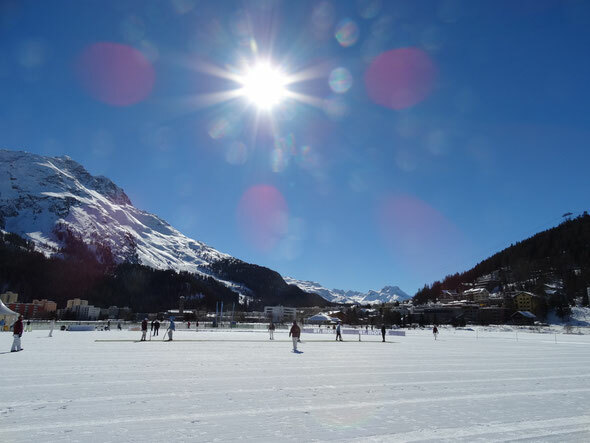 If you would like to be part of St Morirt CC at Cricket on Ice 2016 (18.-20.2.2016) you should arrange accommodation for four nights, Wednesday 17th February to Sunday 21st February. You are not trying to run around on ice, you are actually running around on packed snow on the frozen lake. Normal Cricket footwear is fine but no studs. Thermal underwear, sun cream and sunglasses are highly recommended. St. Moritz is well known for sunshine and the sun is strong! Playing Cricket up a mountain at 1800 metres above sea level in February means it can also be quite cold so ski-jackets, and ski gloves are permitted. It can also be quite warm when the sun shines! Maybe the videos below will help to give you an idea! We play with a low impact ball, more for the safety of the bemused spectators. Cricket gear is provided so you don't need to bring your own equipment. Participation costs Fr. 250, which includes a quality tournament team fleece and woolly hat, a midday meal and drink on each match day and the Saturday evening Gala dinner (Fr. 125.-). For non-participants, partners, friends, etc., the Gala Dinner costs Fr 120 and takes place in a top St. Moritz hotel in the centre of St. Moritz. It is a highlight of the weekend at which the majority of people dress for a black-tie event, but smart casual is also most welcome. We want everyone to be at the Gala dinner! The ticket includes an apéro, a three course meal, drinks including wine and beer and the opportunity to listen to John Hallam make a speech. We recommend the Hotel Sonne which have rooms for all budgets and is located near the lake.The Hotel Sonne consists of the main buildings (Sonne and Casa del Sol) and the guest house Casa Franca. If you want to keep your costs down I can recommend the Casa Franca. If you would like to go up-market then we recommend the Hotel Schweizerhof and the Hotel Steffani where the Gala dinner will be held. Other lower cost possibilities are the Hotel Stille or the Youth Hostel which are also well located. It has never hapened, but there is always a risk that due to extreme weather conditions causing the authorities to deem the lake unsafe for play, there might not any play. In such a case the organisers will try hard to find an alternative site, but there is no refund. I can tell you that we have not lost a single day of cricket in the last 10+ years due to lake or weather conditions. Some of you might like to take a day off from cricket and go skiing instead, or spend time with family or friends. This should not be a problem, but it does not affect the participation fee. All hotels usually offer a reduced ski-pass price for guests who stay a minimum of 3 nights. 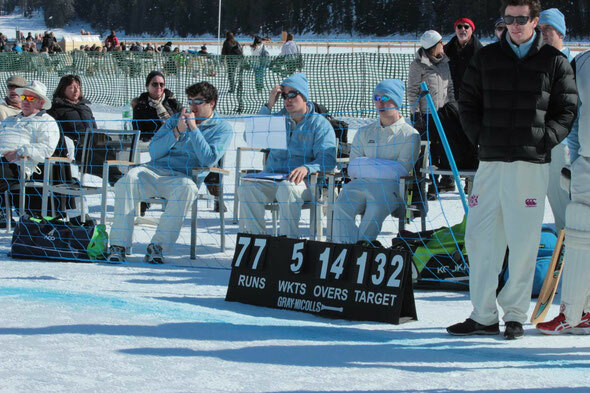 For further information, including the tournament rules and match schedule, please refer to the Cricket on Ice website. Alternatively, you can contact John Hallam.